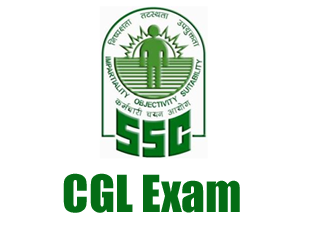 SSC CGL is an examination taken by Staff Selection Commission every year in two phases. Qualified students get a post of non-gazetted and gazetted Grade-B, and non-gazetted Grade-C posts in different departments of Central government. But, selecting post preference prudently is a tough task for new aspirants. Lack of knowledge about various posts can lend you unwanted job which can hamper your professional life. The only way to change your job is to reappear for the exam. Hence, we are going to discuss every job perspective of CGL and figure out your problem in selecting posts preference while filling up the form. 1. Read Jobs profile: one must read experiences of every job profile by the employee of respective department mentioned in the given link - click here. It will be helpful to figure out what job suits you the most. It is necessary to consult your seniors, but don't follow. Follow what suits you the most. 2. Social life: the most critical thing is now- social life, posting in your home state. As, almost in every job of SSC CGL is hard to transfer back to your home state, if get posted outside or far away. Few will say that take this job as it has higher promotion or better growth or powerful inspector life. But, the truth is that getting and selecting home state is the pivotal game. One also thinks of one's future and social life. Most of us is hard to live far away from home, thus one should not follow just what is the trend instead analyze you can manage outside your native place. Hence, it recommended to check previous year cutoffs, present vacancies and prudently fill up your posts preference. 3. Adaptability: one must not forget to consider location of job profile offering. Like, Examiner is posted coastal zones like Mumbai, Goa, Kolkata, Vishakapatnam etc. North Indian students may not opt this profile, but trend says you should opt. Now, you have to consider, Will you able to adjust in the environment of such location? Remember that you will remain posted in opted zone location till your retirement. Hence, take views of other but opt what you like and with future perspective. 4. Future/Professional life: if you are going to be posted far away from your home, you should must choose what can be better job in promotion aspects and can get transfer when you apply. Some jobs look the best as it is recommended by seniors and over the Internet by different aspirants. But, time changes some profile also change with time. Latest info is always helpful to consider job preference especially in case of SSC examination. 5. Less work load: if you are going to appear for UPSC civil service examination, you should and must opt for less work load or fixed time job profile so that you get time for studies. You have also opt for that zone or location, where you can study material of coaching centers easily. 6. Don't run for charm: almost every post has its pros and cons. The most important is your comfort. Some will say 'you will extreme power opt this post', or 'you will earn lot of money in this job profile' etc. But, with changing time and all government services getting digital, curbing official powers and corruption. All SSC jobs profile will look same. The only difference will be the work and tag name of the job profile you will choose. Assistant Section Officer in CSS Permanent posted in Delhi; Better promotion aspects, can be promoted up to Deputy Secretary; Transfer only in different ministries of central government; Fixed Salary with annual increment; Good for those who want to work in Delhi and Monday-Friday work schedule. Note: Computer proficiency test is mandatory to clear to score job in CSS. Assistant in Railway Ministry permanent posted in Railway Ministry or Rail Bhawan in New Delhi; less promotion compared to Assistant in CSS; other allowances and benefits like easy rail ticket confirmation, yearly bonus etc; Assistant in Railway gets 1 free pass for family travelling through train; Railway ministry has their own homes for employees only in Railway; Fixed salary and time bound work schedule from Monday-Friday. Assitant in MEA It looks more lucrative job in SSC CGL and grabs by top ranker; Lower promotion aspects than CSS; Permanent posted in Delhi in MEA; You can get posting in different countries but not necessarily western countries like US or Europe, it can Bangladesh, Pakistan, China etc. High profile as one has handle foreign delegates. If posted in foreign countries different allowances and salary will be given according to that country. Assistant Enforcement officer in Directorate of Enforcement This is like an inspector post in ITI or Excise; There are 11 zones, so you can be posted any one of them; Good promotion aspects; work load varies according to the work allotted; Investigation, arrest of the culprits or may get simple office posting and work; Transfer in within the zone only not other zones. Income Tax Inspector in CBDT Better promotion aspects; Inspector posts; can be posted for Assessment and Non-Assessment work; CBDT has different zones all over India, and one can be posted in any of the zones selected by him; You will be transfer within the zone only; Powerful and respected job. Examiner in CBEC Posting in coastal areas of India like Mumbai, Goa, Vishakapatnam, Chennai, Kolkata etc; Better and fast promotion, powerful and respected job; Do assessment, check imported and exported goods, catch contraband goods etc. Note: Physical Test is mandatory in this. Check physical requirements in notification before applying. Central Excise Inspector in CBEC Collects excise duty from manufacturers, companies, do assessment if found something illegitimate; 11 zones across India and one remains in the zone lifetime unless apply for transfer according to the policies laid down; Not good in promotion terms; More power and may be better promotion after GST implementation. Inspector of Posts Normal life; can be posted in any zone or circle; Inspector have to work to uplift Post offices in his/her circle, manages them; 4600 grade pay job; promotion is good. Note: Physical Test is mandatory in this. Check physical requirements in notification before applying. Physical test is similar to Examiner/PO/Excise Inspector posts. Statistical Investigator- II 4200 grade pay job; different tier-2 exam has to be taken to get this post; collection of data of area, land, population, survey, data entry work, noting and drafting; Better promotion. Auditor Audits public works, government transactions, and related organizations; comes under CAG; promotion is good, but not flexible transfer policy; CAG allocates States according to merit and choice of candidates. Tax Assistant in CBEC and CBDT Normal file work; normal promotion; lowest recommended job in SSC CGL; DEST/ Typing test is mandatory to clear to get this post. Assistant in other Ministries There are few ministries required employees at low grade than ASO in CSS; time bound and file work, noting, drafting; can be posted in any ministry of the Central government in Delhi; permanent in Delhi posted. Senior Secretariat Assistant It was earlier- Upper Division clerk in different ministries of Central government; Normal file work whatever allotted to them; time bound and fixed salary with annual increment and fixed holidays; permanent posting in Delhi. Comments "How to choose appropriate job profile in SSC CGL examination"